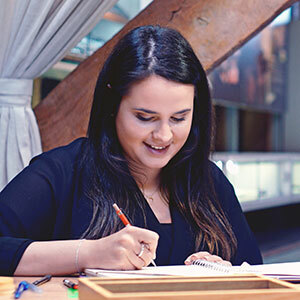 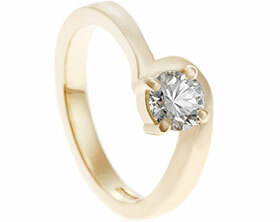 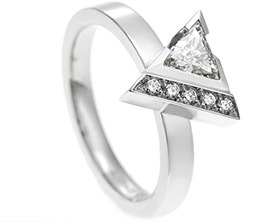 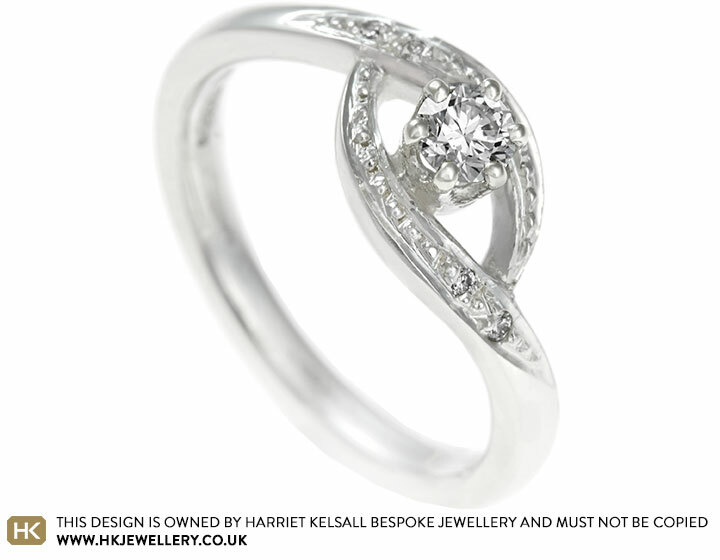 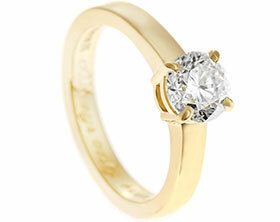 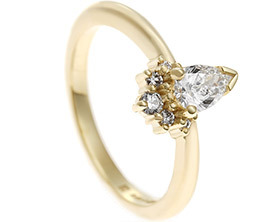 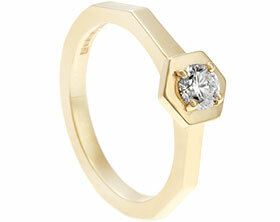 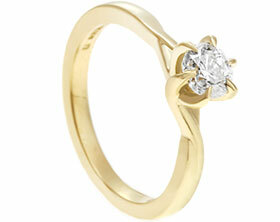 Lucy wanted to design the perfect engagement ring for her girlfriend Charlotte. 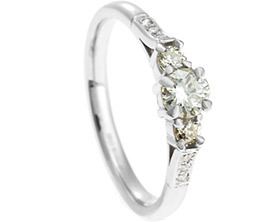 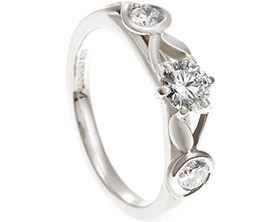 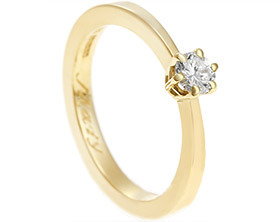 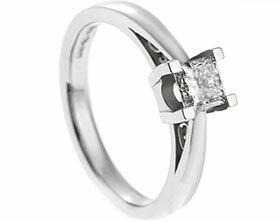 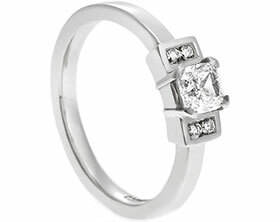 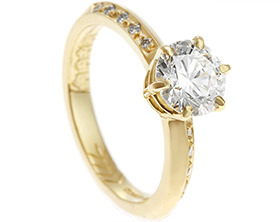 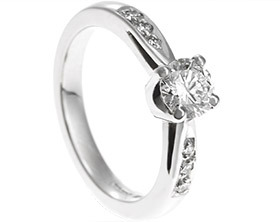 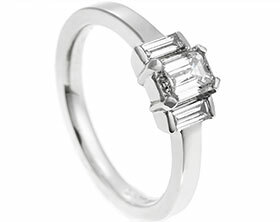 Charlotte is a musician and sings so Lucy really wanted an engagement ring that portrayed movement but had a delicate look with lots of sparkle. 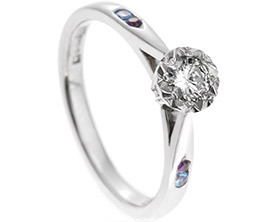 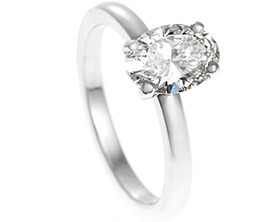 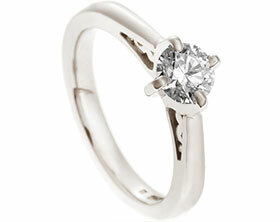 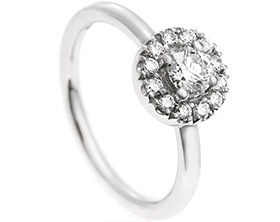 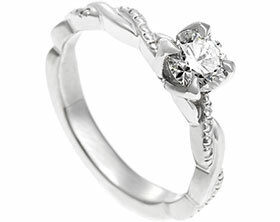 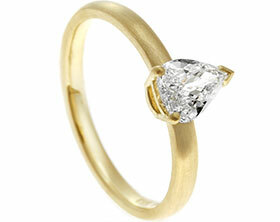 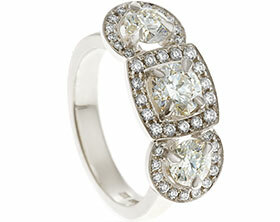 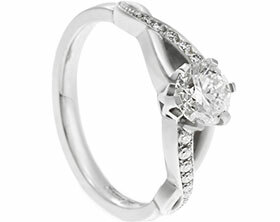 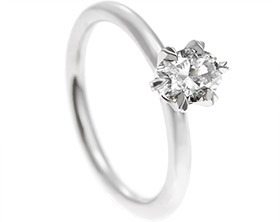 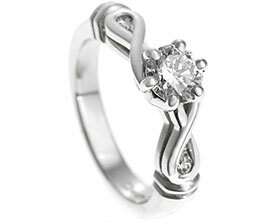 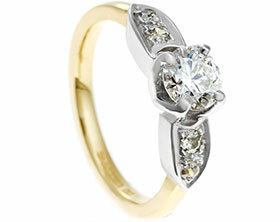 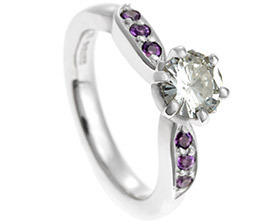 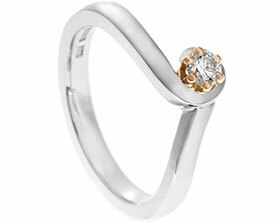 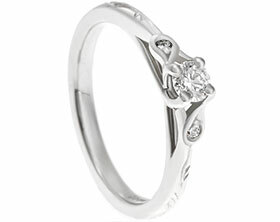 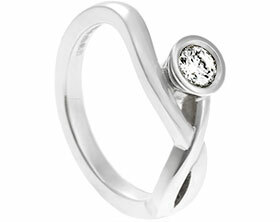 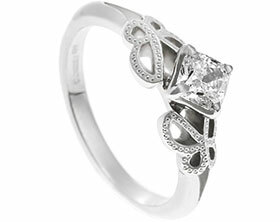 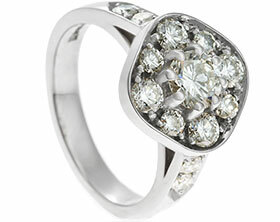 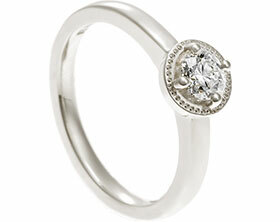 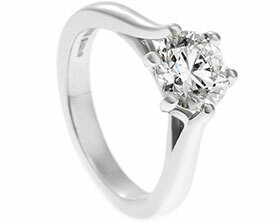 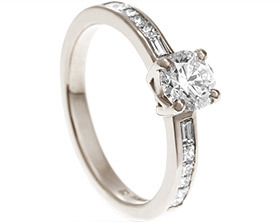 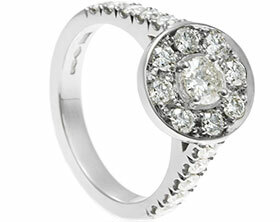 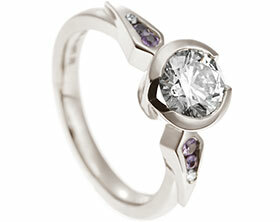 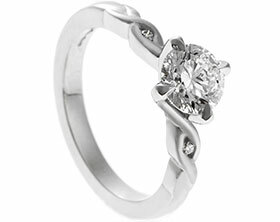 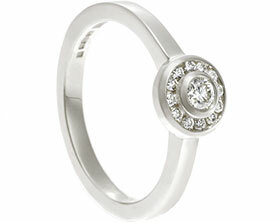 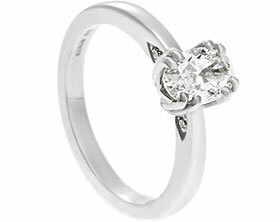 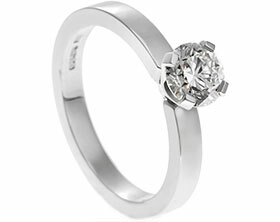 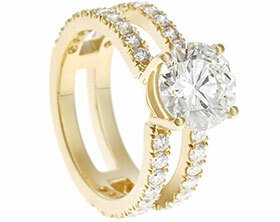 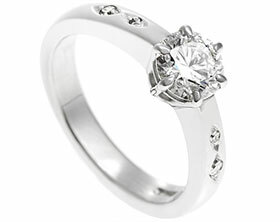 A round brilliant cut diamond in a 9 carat white gold six claw setting was used as the focal point. 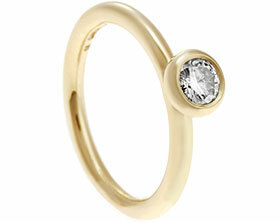 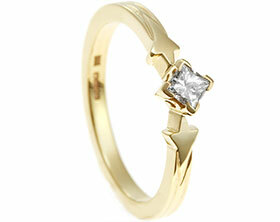 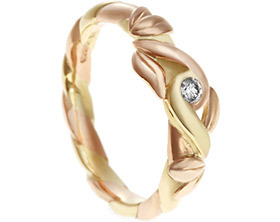 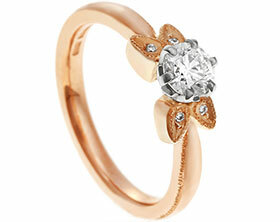 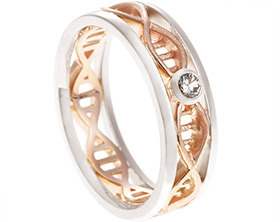 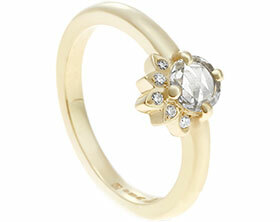 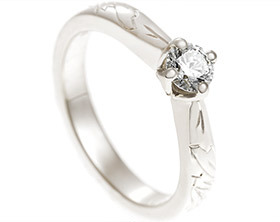 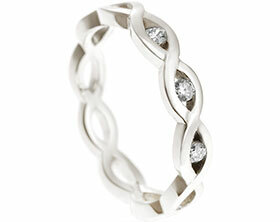 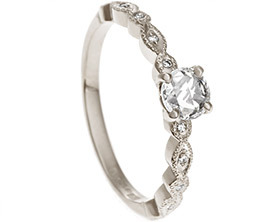 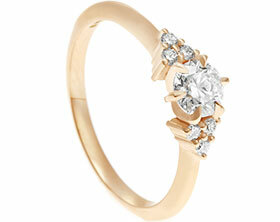 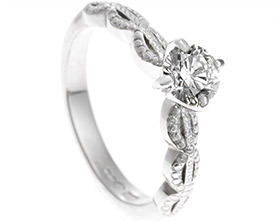 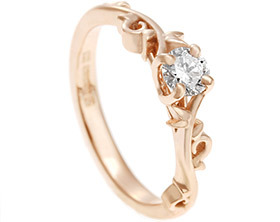 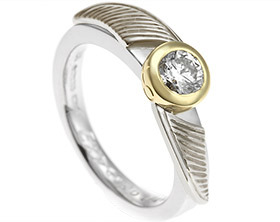 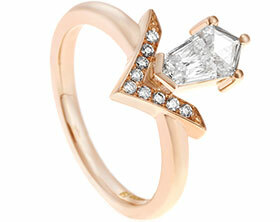 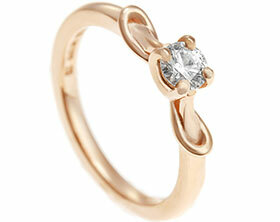 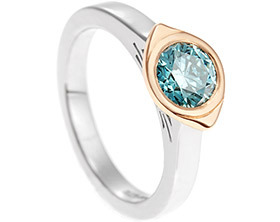 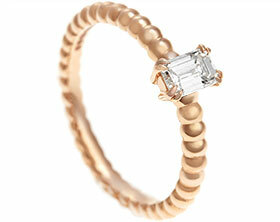 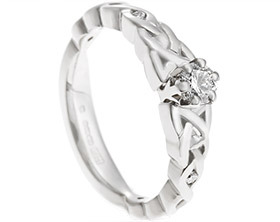 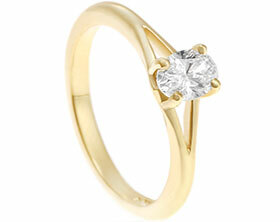 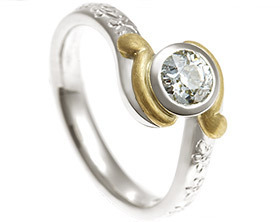 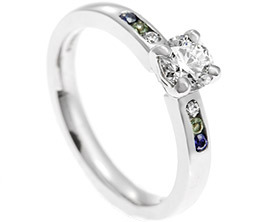 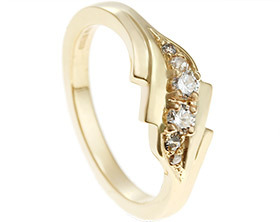 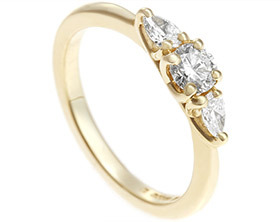 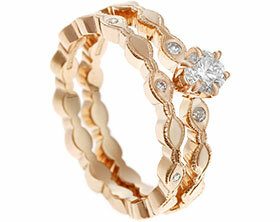 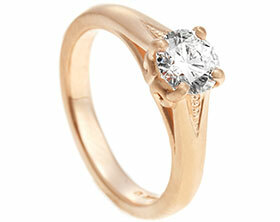 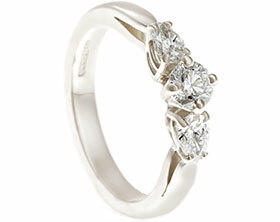 To keep the band delicate the arms of the band twist around the central stone leaving space on either side. 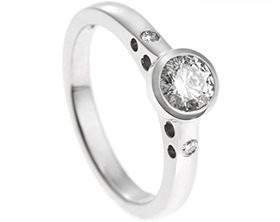 Adding grain set diamonds to these arms mark the extra sparkle that Lucy was looking for. 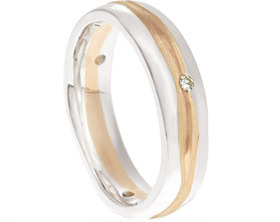 The twisting sterling silver band draws attention into the central stone and demonstrates a beautiful shape representative of flowing music.